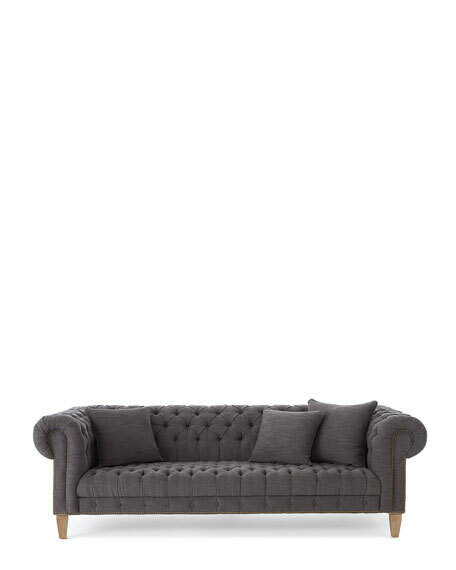 Chesterfield styling makes a dramatic statement. Oversized arms and exaggerated tufting in charcoal-toned upholstery with whitewashed wood legs. Includes four toss pillows, two 22"Sq. and two 24"Sq. 108.3"W x 43.3"D x 35"T.